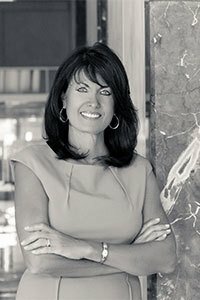 Leslie Bardo joined Realty Capital in 2001 and is responsible for all aspects of marketing the company as well as coordinating the marketing efforts for properties brokered by the Sales and Leasing Team. In addition to her marketing responsibilities, Leslie is one of the developers working on The Lakeside Tower, a 15-story luxury condominium high-rise. The Tower is a key component in the 150-acre master-planned Lakeside community that Realty Capital is developing. Her responsibilities on the Tower include interfacing with the equity and financial partners as well as the general contractor, architect, engineers and the many consultants involved with the project. In addition, Leslie is responsible for working with Tower buyers and their interior selections, creating and designing the marketing and advertising materials and overseeing the interior design for this project. Leslie is also Realty Capital’s office manager and oversees the Human Resources department.